Workshop Principal and Founder, Jan van den Kieboom, will be the keynote speaker for the AIA Illinois Prairie Chapter’s 15th Annual Green Symposium for Central Illinois. He will speak at the University of Illinois Springfield’s brand new student union designed by Workshop Architects and Dewberry. At this growing campus, its first student union aligns with the university’s commitment to sustainability, featuring a green roof and rainwater reclamation system, and seeking LEED Gold certification. Workshop is excited that UIS has graciously opened their space for this summit; it’s an ideal backdrop for dynamic conversations around environmental and social sustainability. Register for the event at the AIA Illinois site. Read more about the project here. A socially fit place is one that strengthens healthy relationships and promotes a sense of equity, inclusion, and belonging. How does one design a place to be socially fit? The answer has two parts. The first has to do with the process by which design decisions are made. 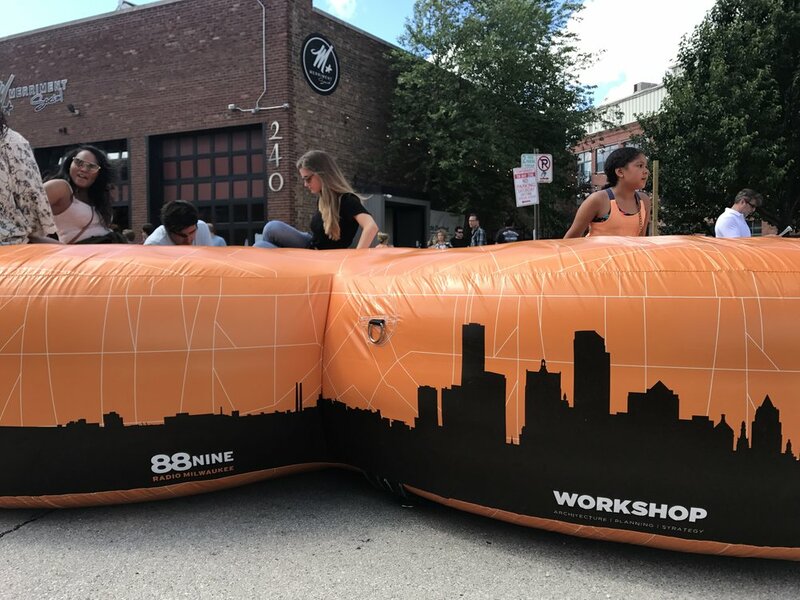 The process must be one of “inclusive placemaking.” It must reach out to as broad a constituency of building users as possible, including those who often feel marginalized or are simply unlikely to attend focus groups or planning workshops. The second part has to do with the actual design of space. Architectural space must be “thick” and “sticky.” It has to have the right mix of "magnets" that draw people in, "anchors" that entice them to stay, and "triangulators" that encourage them to meet others who are outside of their typical circle of acquaintances. Jan van den Kieboom, principal and founder of Workshop Architects, will share the firm’s approach in creating vibrant, socially fit places. This approach is essential for creating any type of setting, including collaborative workplaces, university facilities, or public squares, for which nurturing a sense of community is essential. Carthage College opened the doors to its new eight-story, 126-bed residence hall in time for students to settle in before the Fall semester. 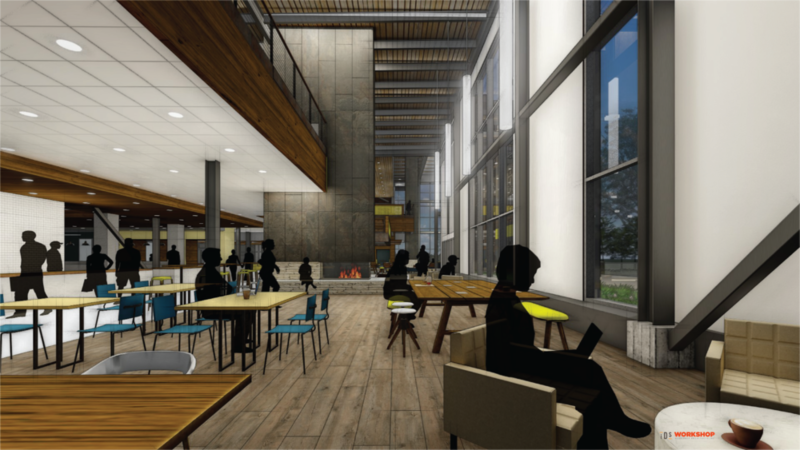 Workshop designed this project to not only address the College’s strategic plan to increase enrollment by 100 in the next year, but also to address the students’ expressed need for more common spaces and community kitchens. The Tower connects the existing Madrigrano and Johnson residence halls, but more than triples their square footage of common space. 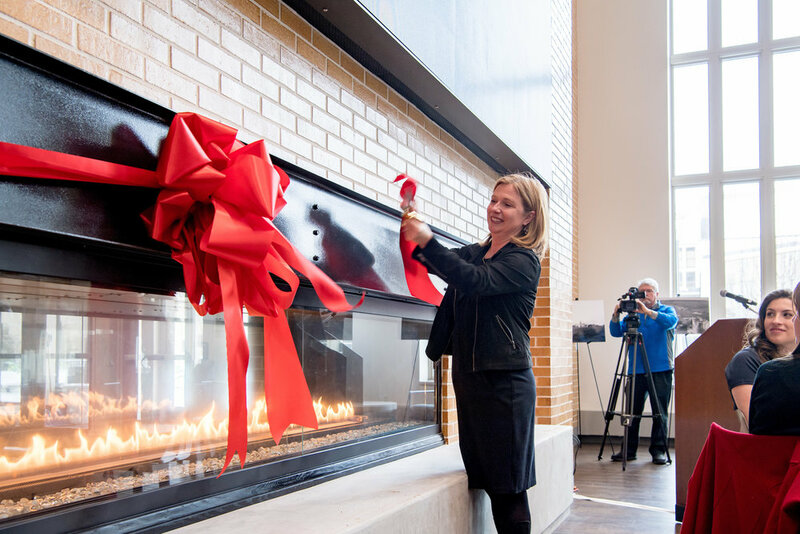 The Boldt Company began construction in Summer of 2017 and, just over a year later, completed the 48,000 SF residence hall, which utilizes it’s scenic location to offer students stunning views of Lake Michigan to the East and the Carthage campus to the West. Read more about our design direction for this project here. Marquette University recently opened The Commons, a new residence hall that provides a unique living-learning experience for incoming freshman and sophomore students. The $108 million, 890-bed residence hall and dining facility rose swiftly on this urban campus. Workshop and partner architects Design Collective worked closely with Findorff to complete the project, from design to construction, in just 22 months. Planning and design decisions for The Commons reflect Marquette University’s commitment to cura personalis, ‘care for the whole person.’ Thus, the Commons provides a transformative living experience for first- and second-year students and a setting for the entire Marquette community to come together and foster a stronger sense of connection between students and surrounding neighborhoods. The Commons consists of two residential towers of eight and eleven floors with a two-story dining hall and lounge connecting them at the ground level. The design allows the residential towers to remain secure while also opening the all-you-care-to-eat dining hall to all community members. Read more about the details and design inspiration here. University of Notre Dame’s Campus Crossroads Project has received the SCUP/AIA-CAE Excellence in Architecture for Building Additions or Adaptive Reuse Honor award, which was announced in July at the Society for College and University Planning (SCUP) annual conference in Nashville, Tennessee. This project team consisted of Workshop Architects, The S/L/A/M Collaborative, HOK, Ratio Architects, and others. The Campus Crossroads Project consists of three new additions to Notre Dame’s existing football stadium: Duncan Student Center for student life and recreational facilities, O’Neill Hall for the music department, and Corbett Family Hall for the anthropology and psychology departments, and student media facilities. Workshop lent their expertise in designing the Duncan Student Center portion of this expansive project, which you can read more about here. Per the SCUP website, “This award recognizes comprehensive campus design and planning are collaborative and involve campus architects, planners, administrators, faculty, professional consultants and many stakeholders. Submittals must be made by a team including the institution and the architect(s). Your project must have been completed and occupied within the past five years. Workshop is currently collaborating with the Milwaukee Institute of Art and Design (MIAD) in the teaching of a site-specific furniture design studio based around The Tower at Carthage College. Taught by Brent Budsberg, with funding from the Chipstone Foundation, the studio will challenge students to design for specific function, using mass customization to accommodate various interest and uses. The students must acknowledge the aesthetic language by aligning or reacting to our design philosophy. So far the conversations have been insightful, uncovering new ways to integrate technology with furniture, while pushing our understanding of conventional joinery methods. University of Minnesota Duluth’s Kirby Student Center and Workshop Architects received a Facility Design Award at the 98th annual conference of Association of College Unions International (ACUI) held in Anaheim, California, in March 2018. 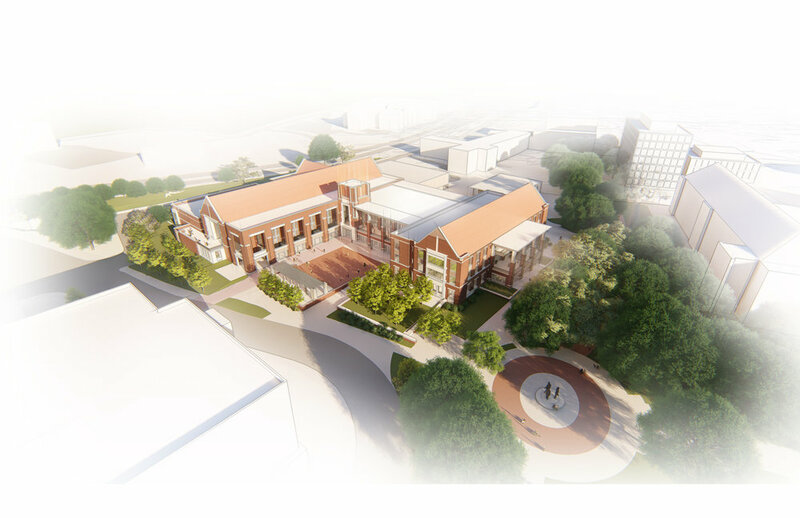 Workshop Architects planned, programmed, and designed the renewed Kirby Student Center, with local support from LHB. 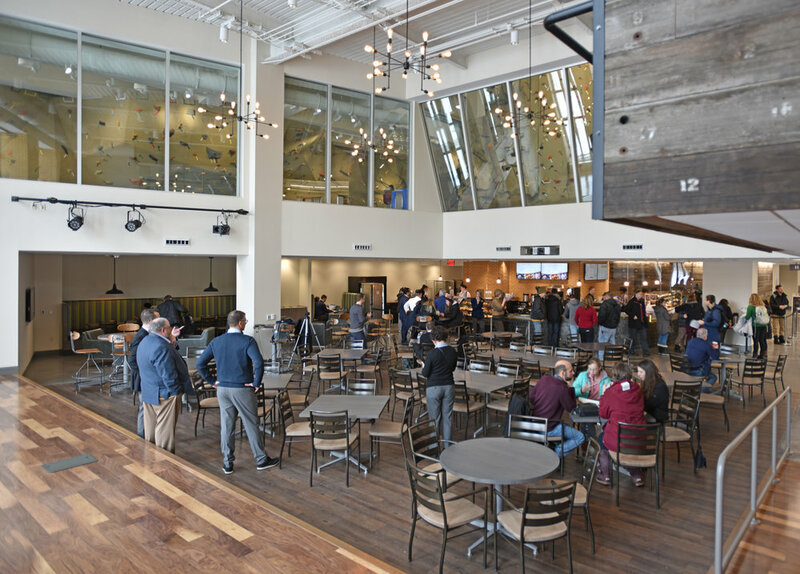 Per the ACUI website, "The ACUI Facility Design Awards were created to encourage and recognize excellence in the design of student-centered facilities that support campus community building and student learning." Read more about the project. “Simply put, the first-floor renovation changed Kirby from a hallway to a landmark. Before the renovation, the lounge and the student organization spaces were blocked off from the hallway by brick walls; it was cramped and dark and dated, and people passed through our first floor on their way to somewhere else. Now, Kirby is a destination. Students see what’s happening in the lounge or on the porch and stop by to chat with their friends, to hang out, to do their work, to play pool or foosball, or to visit the student organization offices. Students returned to the University of Notre Dame campus for a new semester as well as an entirely new student life experience. 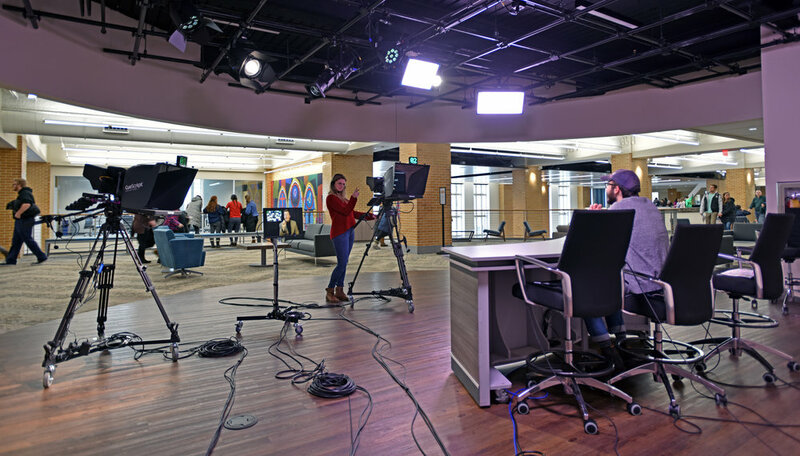 As classes began, the Duncan Student Center opened its doors to the entire campus community for the first time. In the first few hours, students trickled in and could be seen scoping out the center's various spaces; including light-filled lounges and intimate nooks, the new coffee house/programming space, new restaurants, new media-focused student organizations, and a new 3-story climbing wall that extends up into the rec center. Before long, the main thorough-fare and all possible spaces in between were overflowing with students. As the day progressed, everyone seemed to settle into their favorite places, as if the student center had been on campus for years! The two main entries of the building are book-ended with an innovation lounge on the south and the coffee house on the north with a spacious gathering space in the middle that includes a warm fireplace. In its entirety, this blended academic, recreation, and student life facility is a commitment to mind, body, and spirit. At every point of entry, students can find places to refuel, connect, revitalize, engage, and relax. 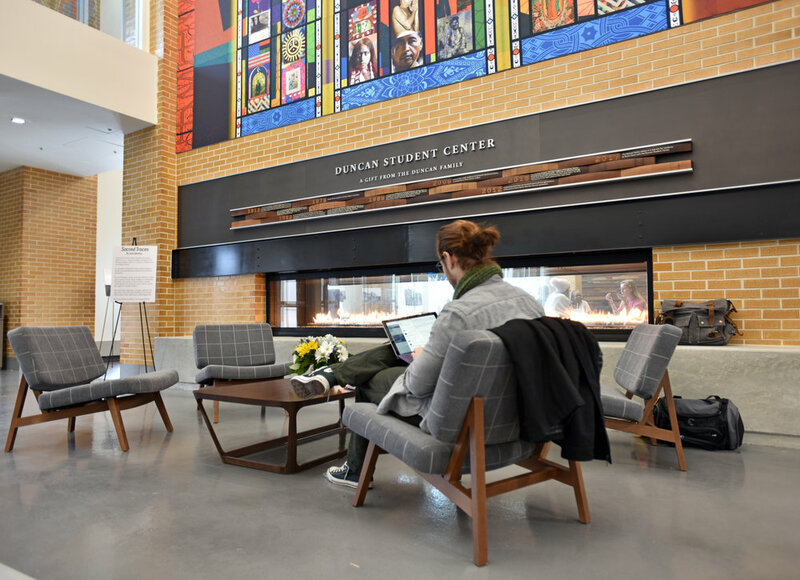 Duncan Student Center is nothing short of inspirational and, at every turn, offers moments of discovery and an experience that is undeniably Notre Dame. Workshop, in partnership with Gilbane Building Company, Cooper Carry (architects) of Atlanta, and OLIN (landscape architects) of Philadelphia, has won the Georgia Tech Campus Center Ideas Competition. The Workshop team was one of three finalists selected for this multi-disciplinary design-build competition. 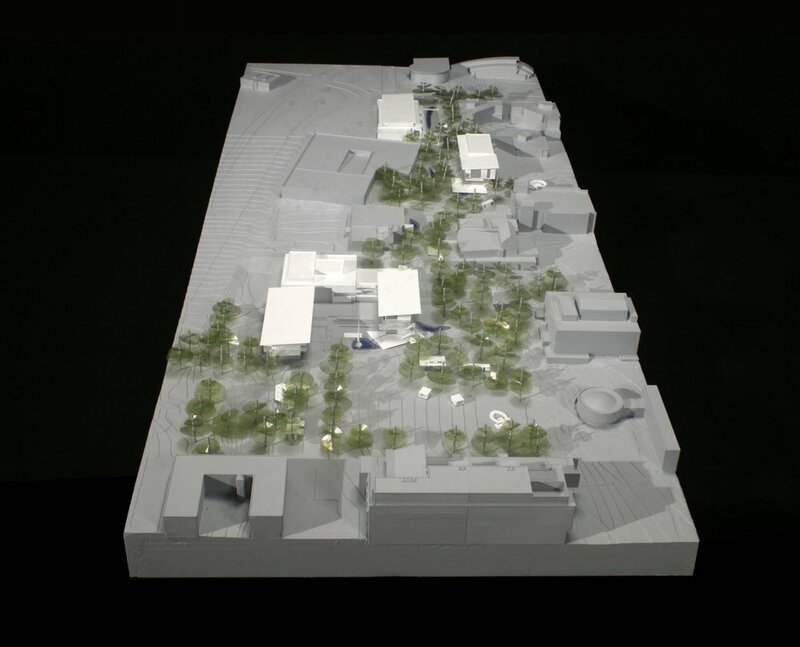 Our winning proposal conceives of the Campus Center as an experiential path that is punctuated by a series of walks, plazas, richly articulated buildings, spatial experiences, and opportunities for social, creative, intellectual, and restorative engagement. We are delighted and excited to continue working with our partners and the Georgia Tech community in order to advance this incredibly important and fascinating project to its fullest fruition. October 4th marked the topping off of Marquette University's The Commons! All participants in the project gathered at the site to view the placement of the final beam, blessed by Father Wild, and to eat together in the future dining hall. This project includes two residence hall towers made up of single and double rooms that are part of a grouping, supporting a neighborhood community feel. The two residential towers are joined at its core by a grand dining hall and shared community spaces complete with fireplace lounges, study areas, multi-purpose spaces, a theater stair, and chapel. The project is anticipated to be completed in time for the Fall 2018 semester. You can read more about the project here. 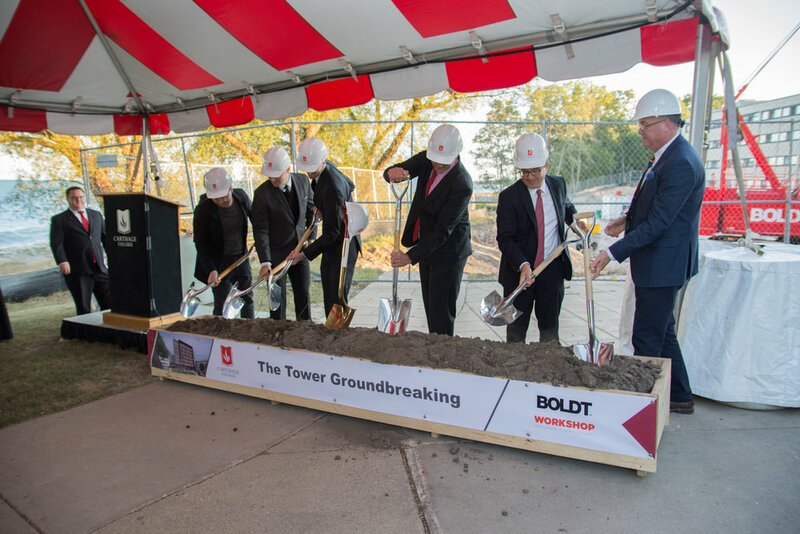 Workshop was pleased to attend the groundbreaking for The Tower residence Hall at Carthage College! This project is the continuation of a master plan we completed for Carthage in 2016, and addresses the need for not only more residential space on campus, but also more interactive space for students to meet, rejuvenate, and socialize. This project is anticipated to be complete by August of 2018. 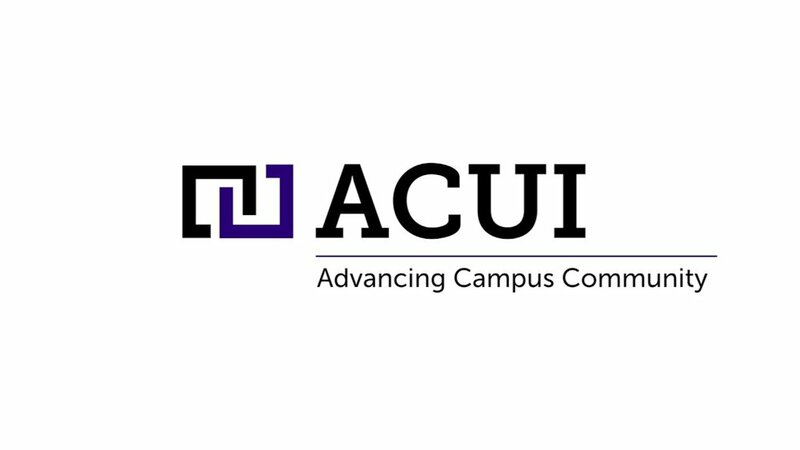 Last year, we celebrated our 20th year in practice with all of our friends and partners at ACUI in New Orleans. This year, we are thrilled as always to join the great community we've become part of. Join us at Booth #404 at The Marriott in Downtown Philadelphia Convention Center as we ring in our 21st anniversary with some exciting news! Visit us to find out what's brewing! Read more at acui.org/events and look for our banners! Workshop Architects earned the Environmental Design Research Association’s 2017 Certificate of Research Excellence for its social research effort, Campus Capital Framework: Mapping Meaning to Inform the Michigan Union Renovation. The EDRA CORE program is devoted to recognizing and celebrating exceptional environmental design research as applied to design projects. Under this program, Certificates of Research Excellence are issued to rigorous and impactful, practice-based design research that sparks innovation and promotes best practice in environmental design. 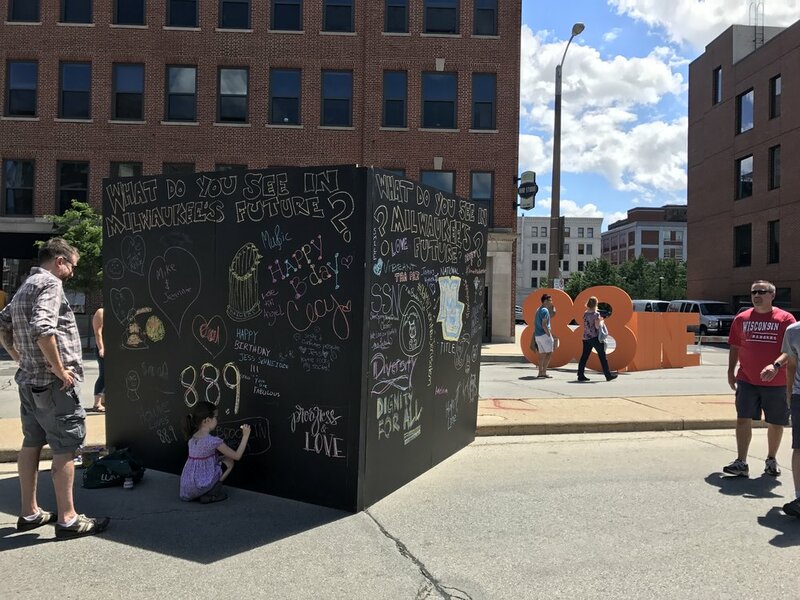 The Campus Capital Framework is an online, participatory mapping survey that assessed the significance that students attribute to the Michigan Union and other important places on campus. The framework provides a means to measure student perceptions of a university’s physical campus in terms of places that help generate four forms of capital: (1) social, (2) intellectual, (3) symbolic, and (4) restorative. Results showed that the Michigan Union not only ranks among the most significant places on campus, but is also the only place that ranked among the top settings for each form of capital. These findings provided administrators and designers with a baseline measure of place meaning on campus for the Michigan Union and future campus planning projects, and a basis for future post-occupancy evaluation. EDRA is a collaborative, multidisciplinary community dedicated to connecting theory, research, teaching, and practice to recognize, create and advocate for environments that are responsive to diverse human needs. Read the EDRA.org article for more information about the award and the organization. 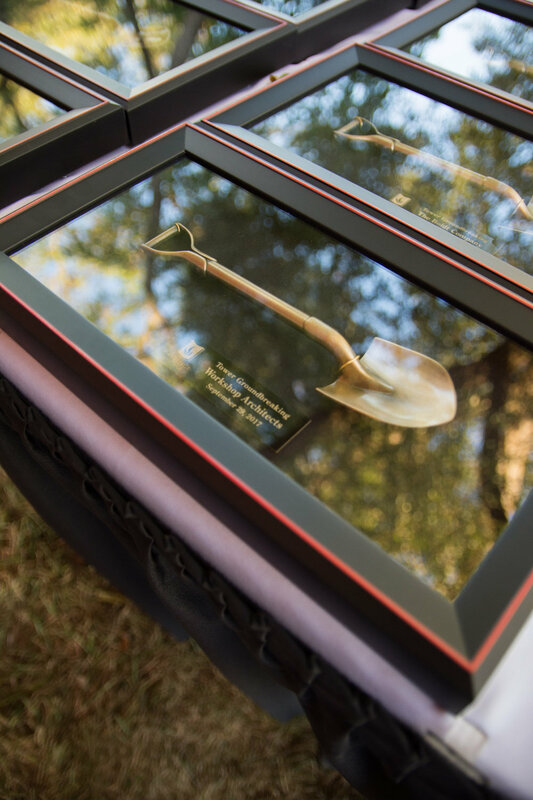 This week, Florida State kicked off their Oglesby Union Renovation Project. Members of the Workshop design team, in collaboration with Architects: Lewis + Whitlock, spent the week on campus engaging with the FSU community, gathering input from students and staff, and conducting participatory design workshops. 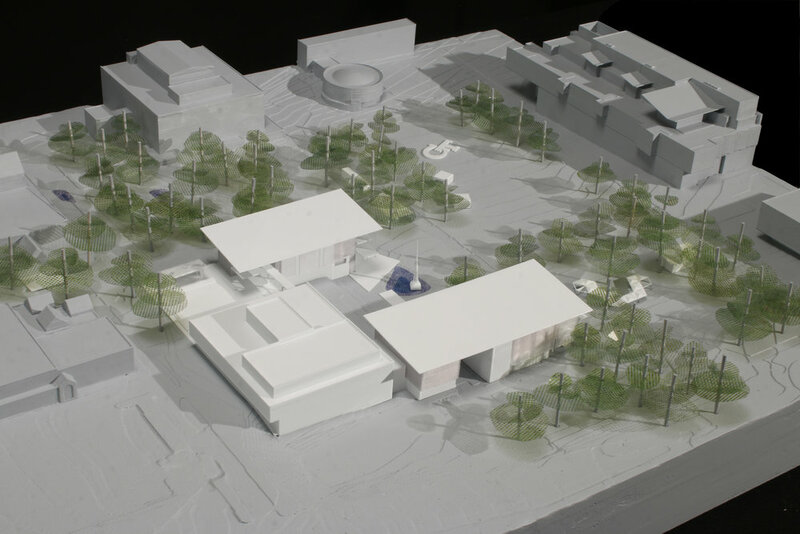 The master planning process will continue with a second campus visit in mid-February.